April 25, 2017. 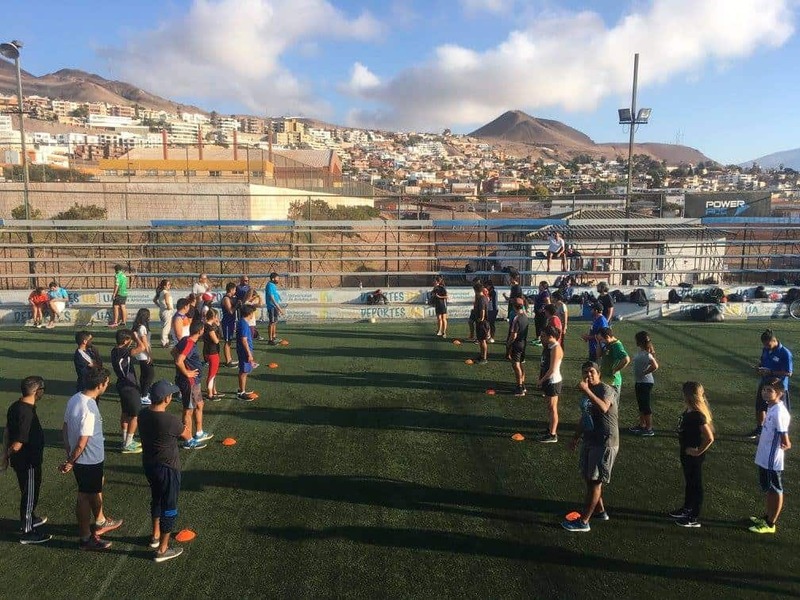 Community Impact Coach Daniela writes about experience traveling with CAC to Ecuador to work with partners Futbol Mas. Mi nombre es Daniela Gutierrez y con una experiencia única, en Perú y Ecuador; agradezco a Coaches Across Continents, que gracias a su programa CIC tuve la oportunidad de vivir 3 semanas inolvidables; donde compartí aprendizajes invaluables junto a cada persona, que me motivan siempre a seguir aprendiendo y compartiendo. My name is Daniela Gutierrez and with a unique experience in Perú and Ecuador I am grateful to CAC. Thanks to their CIC program I had the opportunity to live 3 unforgettable weeks where I shared invaluable knowledge with each person, and which motivated me to always continue learning and sharing. Ecuador-Guayaquil fue especial; porque vi niños participando de nuestro programa, profes de otras provincias que llegaron con tanta energía y esos deseos de cada uno, por compartir. Me gusto ver como exploraban su talento transformándolo en grandes ideas, creando juegos y dinámicas increíbles, el ultimo día todos y todas estabamos emocionados, agradecidos, orgullosos de seguir en la misma sintonía. Sé que se fueron con ganas de más, de seguir compartiendo en sus comunidades y generando impacto social. Solo sé que el gran equipo de Futbol más Ecuador seguirá contribuyendo en este proceso, generando más oportunidades para todo Ecuador. 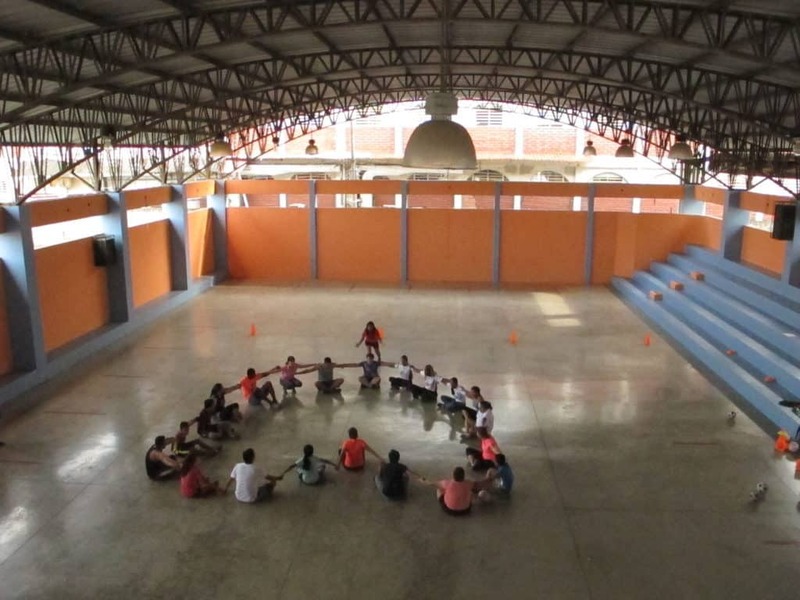 Guayaquil, Ecuador was special because I saw youth participating in our program, teachers from other provinces that arrived with so much energy and the desire from each one to share. I loved to see how they explored their talent, transforming it into great ideas, creating games and incredible activities. On the last day everyone was emotional, grateful, and proud to continue to the same tune. I know that they all left with the urge for more, to continue sharing in their communities and creating social impact. I just know that the great team of Fútbol Más Ecuador will continue contributing to this process, generating more opportunities for all of Ecuador. Recuerdo aquel 2014, mi primer año con CAC en Perú; desde entonces soy un agente de cambio social, utilizando como herramientas potentes juego y deporte; creando espacios donde cada vivencia se trasforme en una experiencia significativa. Logrando que las personas seas protagonistas de los cambios en sus comunidades y en sus propias vidas; buscando igualdad de oportunidades para todos y todas (‘todos somos impacto social’). I remember in 2014, my first year with CAC in Perú. Since then I have been an agent for social change, using sport and play as powerful tools; creating spaces where every experience is transformed into something significant. 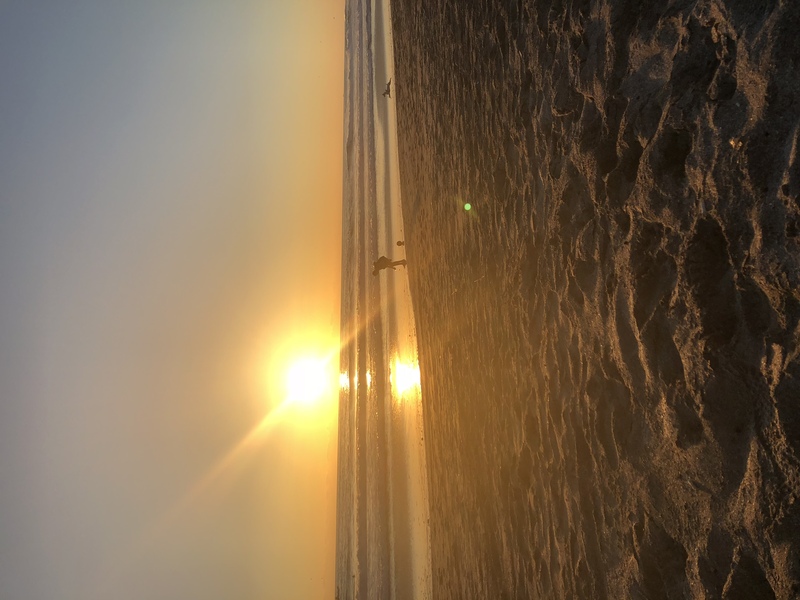 Achieving that people are protagonists for change in their communities and in their own lives; searching for equality of opportunities for everyone – ‘we are all social impact’! Siento personalmente la necesidad interminable de seguir aprendiendo siempre de los demás, cada persona es un mundo lleno de tanto, involucrándome, teniendo la convicción que no hay límites para seguir aprendiendo y que nunca debo parar. Sueño que en 2020 más y más personas alrededor del mundo, transformen su pasión en acciones que nos permitan construir un mundo mejor. 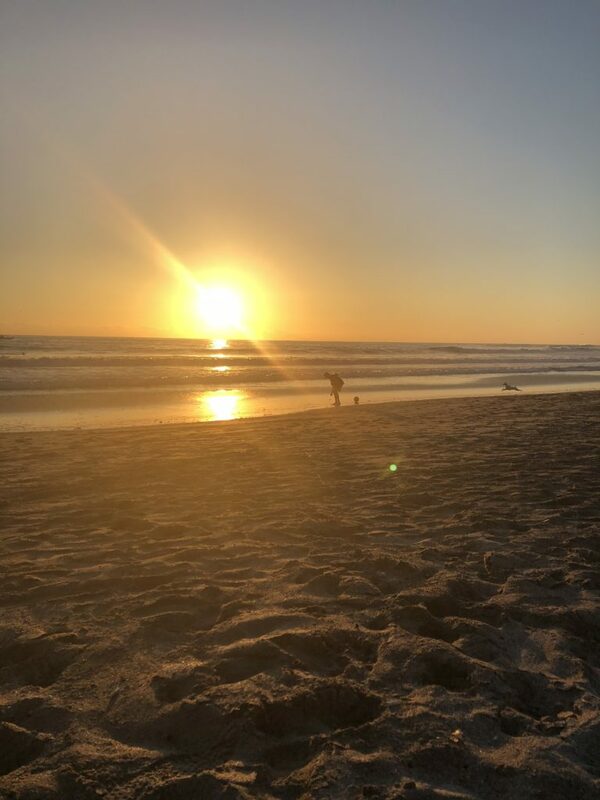 I feel personally the unending need to always continue learning from others; that every person is a world full of so much, including me, and having the conviction that there are no limits to learning and that I should never stop. I dream that in 2020 more and more people around the world transform their passion into actions that allow us to build a better world. April 13, 2017. 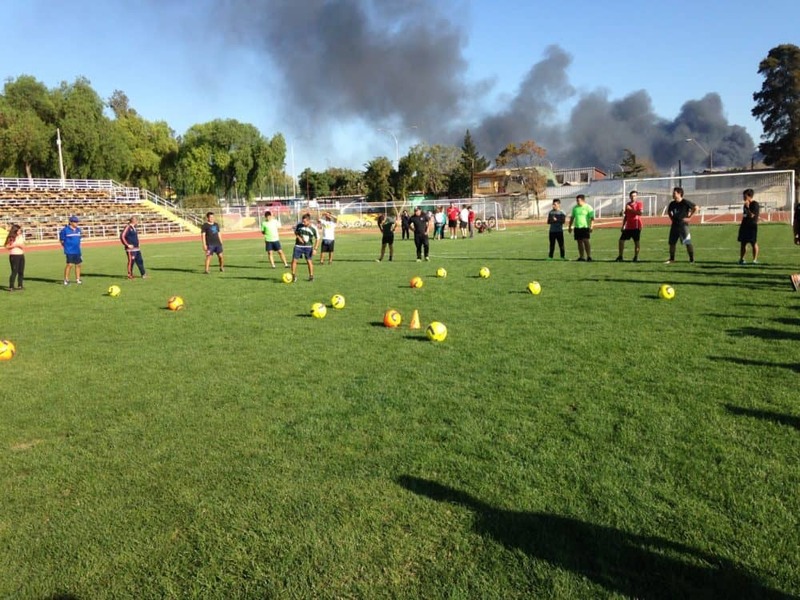 Coaches Across Continents Process Consultant, Charlie Crawford writes about working with partners at Futbol Mas Paraguay. 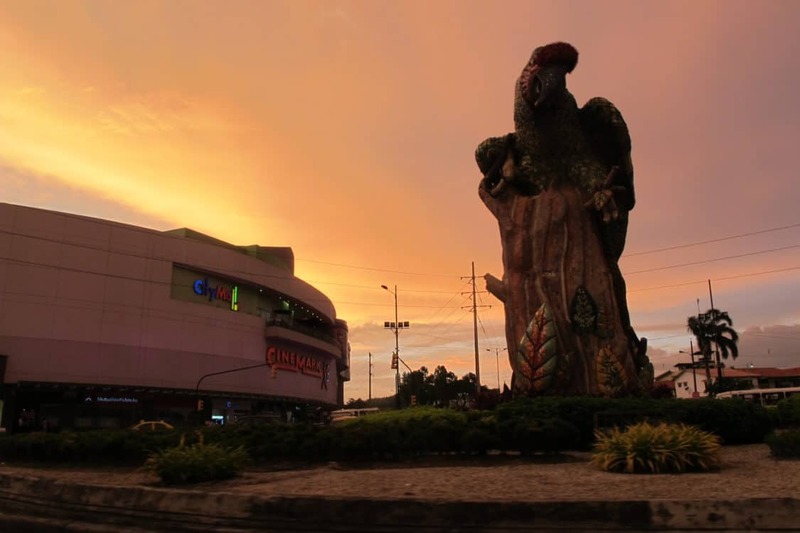 The first thing to stand out throughout Asuncion is the fact that a significant portion of the population always carries with them a small cooler accompanied with cup and a flattened looking straw. 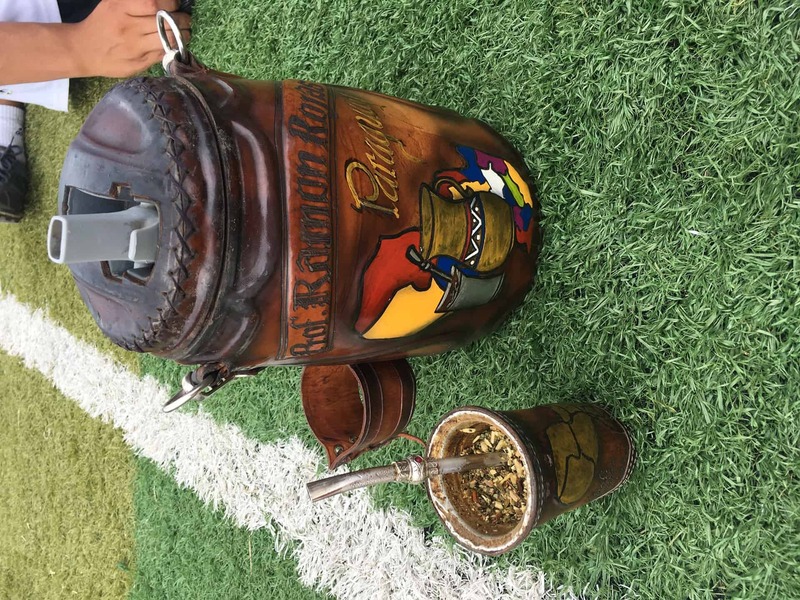 For those of you that have not had the pleasure, Terere in Paraguay could be considered a form of cold tea and more significantly, an icon and integral aspect of their way of life. In the cup is the supply of mate (crumbled leaves/botanical matter that I did not examine very thoroughly) which, when filled with the ice-water from the cooler and is filtered through the special straw, becomes far more than a refreshing drink. Paraguay is hot. As one of this week’s participants told it, “The Devil once came to Asuncion, started to sweat, and has not been back since.” Terere is undoubtedly the principle solution to this heat. This ritual helps and continues to build a community of trust centered around a shared cup. And as with any social construct, there are rules and etiquettes to follow this ritual sharing of Terere. The first thing I learned is that the owner of the cooler is the one to pack the cup, and that there are preferred methods to this packing. Once prepared, it’s up to the youngest member of the group to fill the single cup, pass it to the most senior, refill the cup and continue passing it around. You will continue to be offered a fresh cup until you say “gracias”, signifying your satisfaction. After making the dramatic mistake once, I was informed of the most important rule, ‘don’t move the straw’. The depth, position, and angle of this flattened straw are part of the preferred experience of the owner and are not things to adjust as you will it. As much as I wanted to dedicate an entire blog to this cultural drink, there is no possible way to leave this week without focusing on how incredible a program this was. After experiencing Futbol Mas in Lima the previous week, expectations were reasonably high for F+’s Paraguay branch. Participants here ranged from specialists in government organizations, special needs teachers, competitive coaches, competitive players, volunteers, students and more. None had ever experienced a training of this sort before and their earnest attitude, eagerness to learn, and belief in progress through problem solving were second to none. 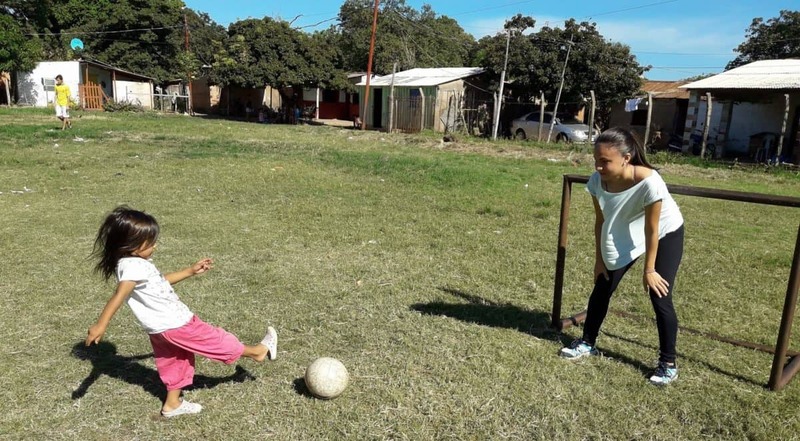 While most of the trainings were held on the National Secretary of Sport’s official compound, two of our days were spent in the local slum of Chicarita. This area is closer to the river than the rest of the city and, as such, suffers severe flooding on a regular basis. Unauthorized housing packs the area and social stigma closes it off from the rest of the world. Learning that the vast majority of our participants had never even set foot in this part of their city was not terribly surprising. What was a bit of a surprise, were the attitudes that made clear shifts by the end of the week. It would be accurate to say that there was a feeling of being uncomfortable during the first trip into Chicarita. This atmosphere not only dissipated but was replaced by an opposite eagerness to engage with this world even more. By holding the training within this community, the barrier of prejudice that literally circled this neighborhood was crossed, discussed, and ultimately considered unnecessary by the participants. The ritual of Terere remains strong. The ritual of avoidance and turning a bling eye does not. This is a great example of what our partners are able to accomplish. I am left with only appreciation for being able to work with both Coaches Across Continents and Futbol Mas. To Lima, to the Coast, to Huachipa! April 12, 2017. 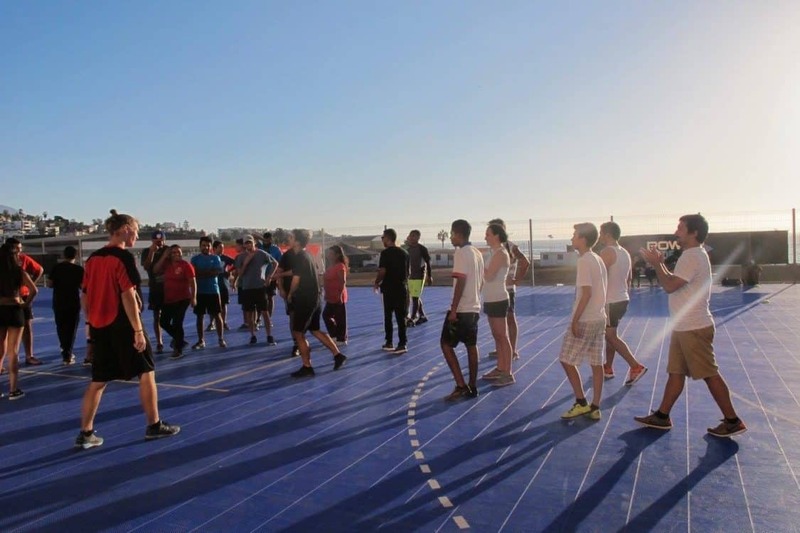 CAC Process Consultant, Charlie Crawford, writes about CIC Daniela and program in Lima, Peru. Arriving in Lima, Peru felt like stepping into both a foreign world and coming home at the same time. While our program would start on Monday, I was able to spend Saturday exploring the latest CAC office and surroundings before meeting up with fellow Coaches Across Continents staff Mark Gabriel, on Sunday. This opportunity led me to a bubble of Peruvian culture expressed along the jagged coastline spotted with public parks. 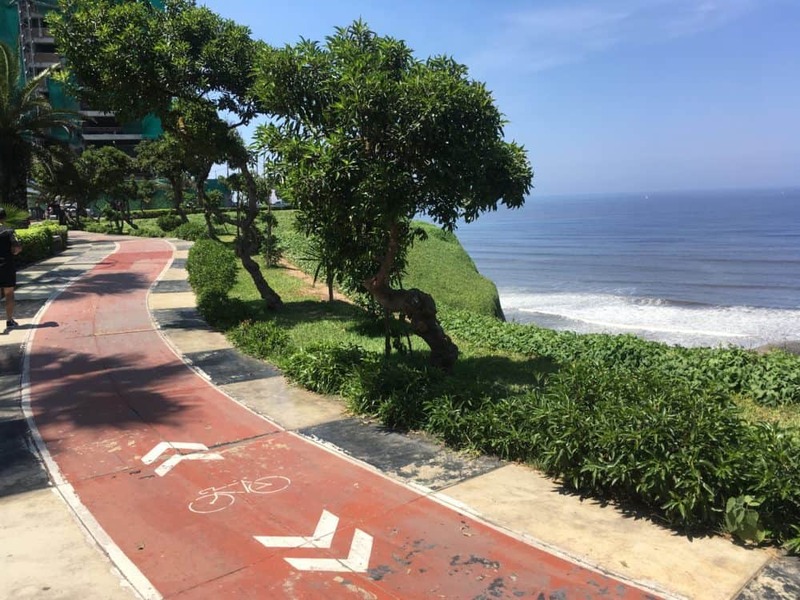 Bike paths, futbol fields, and countless shady palm trees lined the winding cliffs and overlooked the beautiful Pacific Ocean. 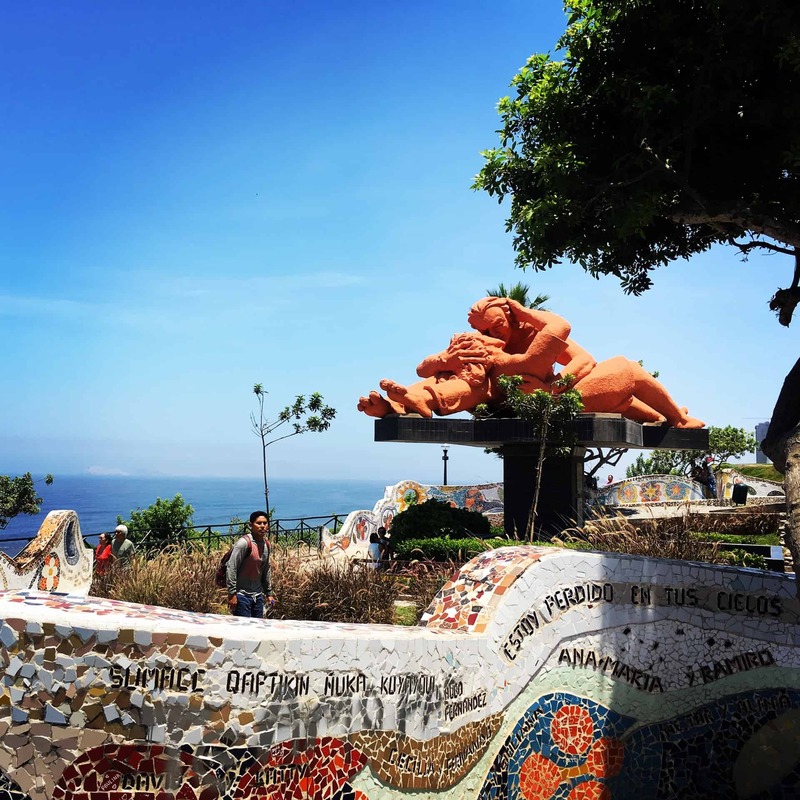 The highlight of this coddiwomple was stumbling onto the Park of Love, where mosaic tiles, colorful flowers and a massive statue of a loving couple holding each other in their arms helped create an atmosphere of comfort, connection and intimacy all in this beautifully publicly acknowledged space. Families, couples and friends would sleep, relax and spend their sunday in the best possible way here, in this paradise of a setting. Every program is different. After working off-field in recent weeks, it was extraordinary to get back on the job with one of our strongest past participants and CIC’s, Daniela Gutierrez. Daniela has had consistent experience with CAC in past Peruvian programs which made working with her directly an obvious step. 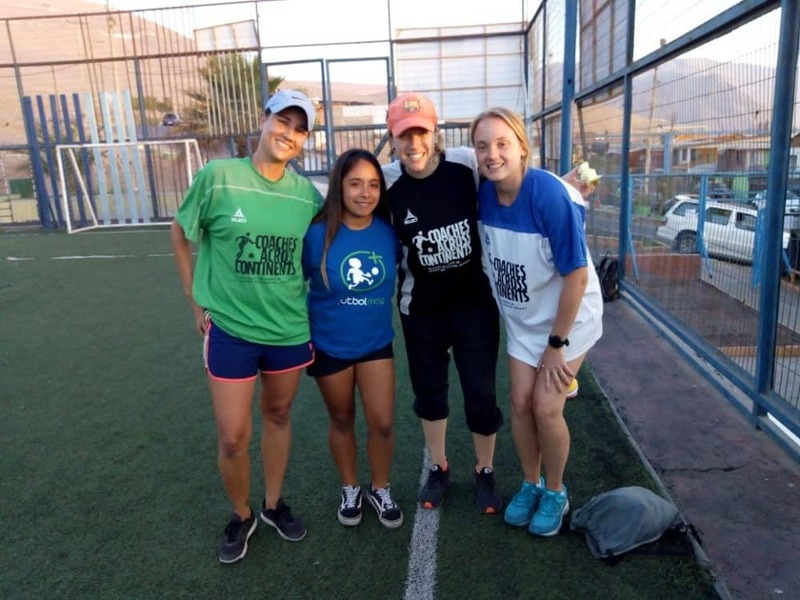 Currently working with Liga de Futbol Feminino e Integracion Social, Daniela used some of her connections to local schools and Sport for Social Impact individuals to organize a training in the neighborhood of Huachipa. This is an area no small distance away from central Lima. Through travels so far, I’ve found that many inhabitants of big cities tend to claim the ‘world’s craziest traffic’ title. While it’s my thought that no one has enough experience to empirically determine this, I’d be willing to consider Lima as a possibility. Public transportation is built around these monumental highways sunk into the hills and valleys of the cityscape. Within these highways are designated lanes for public buses and it was partially through these buses that we would travel to our venue every day (often with multiple taxis included in each direction of the trip). The training itself centered around a local school in Huachipa and the mothers of the students. 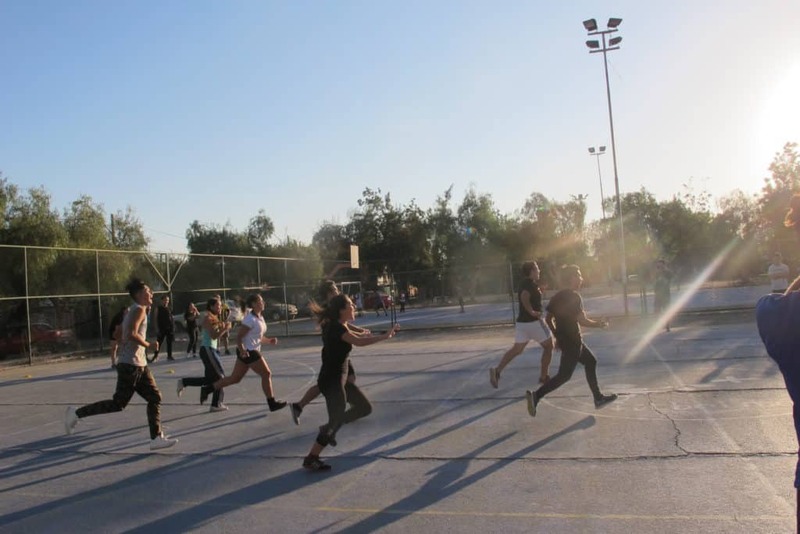 Clearly new to the idea of Sport for Social Impact, we were able to introduce these parents to using sport in a way to address Gender Equity, Conflict Prevention and a number of other topics in our time together. Mark & I met and began working together less than a year ago with CAC in Cambodia. In the months since, we have coached together and played in half a dozen countries. Starting this next stretch with him couldn’t have gotten off to a better start and working with our new partner, Futbol Mas, in the coming weeks only makes me more excited. Let’s go Lima!